Deciding a title for this article was tough because I know that the Core Momentum Trainer (CMT) can cause some differing opinions. This article is about the ways we use the CMT, and how it could become one of your go-to training tools. The CMT is different to the novel fad training tools that have been on the market for the last ten years plus. Instead, it is a training tool that was built to solve a problem and then brought into production because it was so effective. When writing a rehab program, it is often appropriate for resistance to be used to help a client develop strength at an end range. This range specific strength gives the client the ability to start taking more risks and attempts to reduce the possibility of an injury reoccurring at that joint. Dr Derek Steveson used a mixture of a broom handle and then his pressure on that broom handle, to provide resistance to the end range of a movement. Specifically though this resistance is applied at the point just after the change of direction of motion at the joint as the limb is moving away from danger. When working with a client on a shoulder injury, he said that it would be useful if he could recreate this resistance without being present. The requirements would be that the movement could occur without the body being aware of the resistance until it kicked in, and so he was looking for a lightweight device that could provide a big punch to a group of muscles at exactly the right time. Luckily Derek happened upon an engineer, and together they tested many shapes, contents and oil mixes to get a precisely timed resistance in a device that feels light weight. What they built eventually became the CMT. As a result of this, the CMT is not going to provide a continuous time under tension, and so the application of the CMT for a workout that feels like a slow strength/ hypertrophy workout would be small. If your client’s goals are about creating strength in range, new range, rapid power or resisting turning motions, then the CMT is a possible choice for you. My article does not go into the science of programming, yet the questions about selecting a load will be dependent upon the reason for the exercise. My presumption is that you have done the research, have your movement challenges in mind and you now need to find a specific way of providing the resistance to give the client the required intensity for the exercise you chose. In future articles, we will look at the different goals of a program and the research that could guide your decisions. 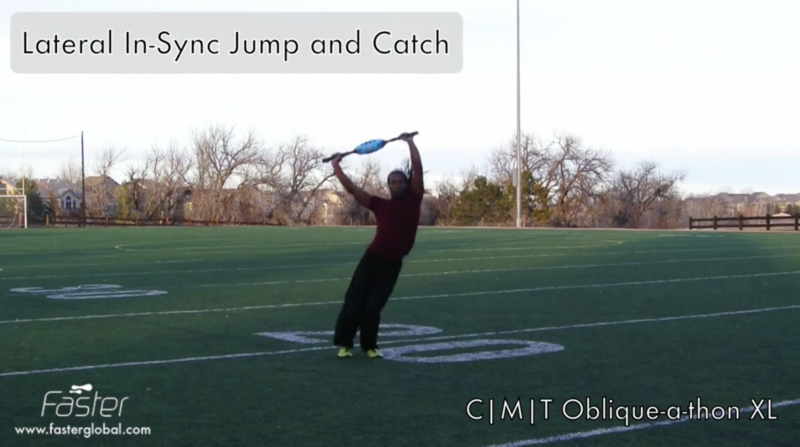 For this article, I want to leave you with a few exercises and applications of the CMT. Comparing Loads, the ViPR with Momentum Increasing and the CMT with a Force Impulse slowing the follow through motion. Here is a combination of exercises that focus on sharp pulses of force that are being decelerated by the ‘Core’ muscles, which also increases the difficulty of the cardiovascular movements that Gerett goes through.